Why is the holiday period a particularly high-risk time? The heat. Hotter weather means more people flocking to waterways to cool off. People who are not necessarily strong swimmers are perhaps spending more time in the water than usual. Alcohol. 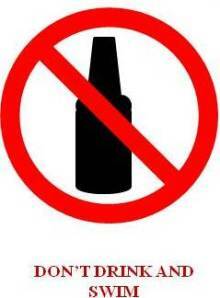 The festive season notoriously means a lot of people are consuming alcohol in celebration.Often, this is close to bodies of water which is a problem when considering alcohol impairs judgement. Increased distractions. The festive season often brings with it more visitors, more phone calls, more things to be actioned. These things have a tendency to distract us. No 'dedicated watcher'. At gatherings, responsibility is often deflected as we assume someone else is keeping watch. The more people around, the more that responsibility is unconsciously deflected. What are the top 3 locations for where drownings happen? Seventy-five people died from inland waterway accidents between July 2015 and June 2016, with 63 dying as a result of a beach swim during that same period (Australia). Supervise children and vulnerable others. Alcohol and water don’t mix. Learn lifesaving skills. Many 'rescues' end in tragedy, as those undertaking the rescues are not trained and therefore put themsleves in high-risk situations. Only swim at patrolled beaches, and swim between the flags. Don’t panic. If you perceive yourself to be in some sort of danger, do your best to stay calm. Panicking is likely to cause you to use more oxygen, increase your cortisol levels, and subsequently increase the likelihood of making poor decisions. Educate yourself. Do you know how to identify a rip? Do you know the extra risks associated with swimming in inland waterways? Raise awareness. Talk about what can be done and raise awareness with those around you. Specifically, if you have friends or family who did not grow up on the coast or near a waterway and therefore haven’t had the same levels of exposure, teach them what they can do (sharing this blog with them would be a good start). Remove pool toys from the pool when not in use. Pack away portable pools. Enrol your child (or yourself) in swimming lessons. Like most things, swimming lessons are not a ‘one size fits all’ approach and so be sure to choose the type of lessons that are most suitable. The reality is that the waving, splashing, and yelling that dramatic conditioning (television) prepares us to look for is rarely seen in real life. Drowning is almost always a deceptively quiet event. That being the case, would you know if someone was drowning right in front of you? 1. “Except in rare circumstances, drowning people are physiologically unable to call out for help". 2. The mouths of drowning people are not above the surface of the water long enough for them to exhale, inhale, and call out for help. 3. Drowning people cannot wave for help. Nature instinctively forces them to extend their arms laterally and press down on the water’s surface. 4. Throughout the Instinctive Drowning Response, drowning people cannot voluntarily control their arm movements. Physiologically, drowning people who are struggling on the surface of the water cannot stop drowning and perform voluntary movements such as waving for help, moving toward a rescuer, or reaching out for a piece of rescue equipment. 5. From beginning to end of the Instinctive Drowning Response people’s bodies remain upright in the water, with no evidence of a supporting kick. Unless rescued by a trained lifeguard, these drowning people can only struggle on the surface of the water from 20 to 60 seconds before submersion occurs. Head low in the water, mouth at water level. Head tilted back with mouth open. Eyes glassy and empty, unable to focus. Hair over forehead or eyes. Trying to swim in a particular direction but not making headway. Trying to roll over on the back. How can you learn more about wandering and drowning prevention? 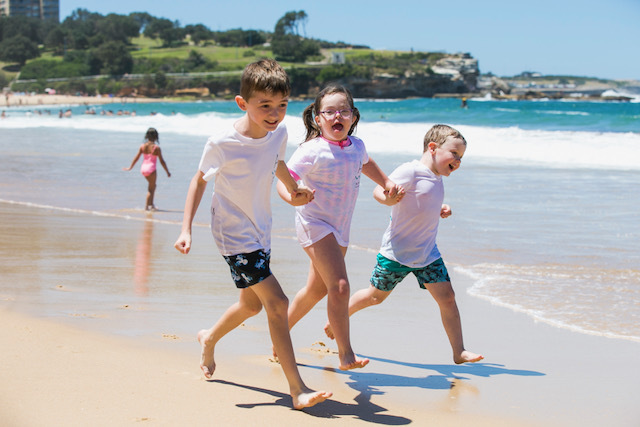 Autism Swim offers online training and resources to parents around Australia, so they can do everything they can to keep their little ones safe. Autism Swim's Wandering and Drowning Prevention Toolkit is available to parents, and is the only one of its kind in Australia. Give your swimmers the best chance of developing skill-sets within the water, by educating yourself on the different learning styles of your swimmers. Become Autism Swim Approved today! If you would like any further information on the contents contained above, send us an email (hello@autismswim.com.au), and we would be more than happy to assist. We can also point you in the direction of counselling services if you have experienced a traumatic event. Top 5 things to look for when selecting a swim centre/instructor for your child.